Shirts With Random Triangles: Rutgers QB Philip Nelson arrested on charges of assaulting player from another school. Rutgers QB Philip Nelson arrested on charges of assaulting player from another school. Philip Nelson. Via Mankato Free Press. Rutgers quarterback Philip Nelson has been arrested for allegedly assaulting a football player from another school. ESPN's Adam Rittenberg provided a description of the events surrounding the arrest. "Nelson, 20, faces charges of suspicion of third-degree assault and underage alcohol consumption. Police in Mankato, Minn., found Isaac Kolstad, a football player for Minnesota State-Mankato, critically injured near an intersection in town around 2 a.m. Sunday. Nelson was at the scene and taken into custody. He will likely be arraigned Monday or Tuesday. Police reportedly are seeking another person in the incident." Kolstad, the alledged victim, was a linebacker who had formally played for North Dakota State before he transferred to North Dakota State before transferring to Minnesota State-Mankato, a Division II program. 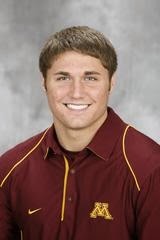 Nelson was a member of Minnesota's football program before transferring to Rutgers earlier in the year. Rutgers says it is currently investigating the incident.